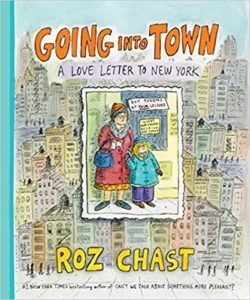 Live from MoCCA 2018, Roz Chast rejoins the show to talk about her 40-year+ career as the “different-different-different” cartoonist at The New Yorker, what her workday is like, why she avoids topical and political cartooning, the joy of drawing on an iPad and the fun of Instagram, and more! We get into her new book, Going Into Town: A Love Letter to New York (Bloomsbury USA), and her issues with the suburbs, like learning to drive at 38 and being scared of having a basement. We also discuss the transition to a new cartoon editor at The New Yorker who’s the same age as her kids, the recent shift in gender representation, and the gags she couldn’t have made before she lost her parents. Plus: audience Q& A! Give it a listen! And go buy Going Into Town: A Love Letter to New York and Can’t We Talk about Something More Pleasant? : A Memoir ! 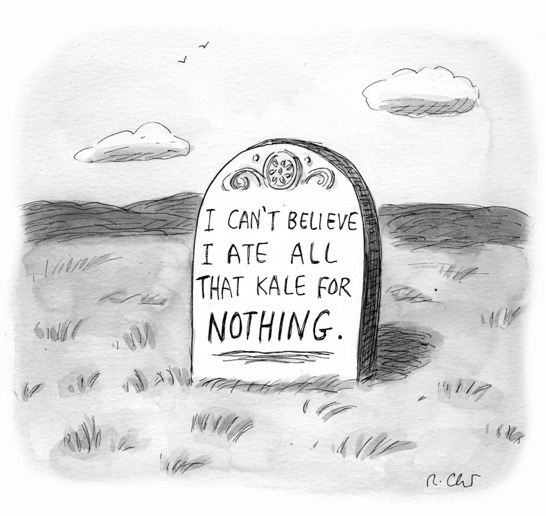 Roz Chast grew up in Brooklyn. Her cartoons began appearing in The New Yorker in 1978, where she has since published more than one thousand. She wrote and illustrated the #1 New York Times bestseller, Can’t We Talk about Something More Pleasant? : A Memoir , a National Book Critics Circle Award and Kirkus Prize winner and finalist for the National Book Award, as well as What I Hate: From A to Z , and her cartoon collections The Party, After You Left , and Theories of Everything: Selected, Collected, and Health-Inspected Cartoons, 1978-2006 . 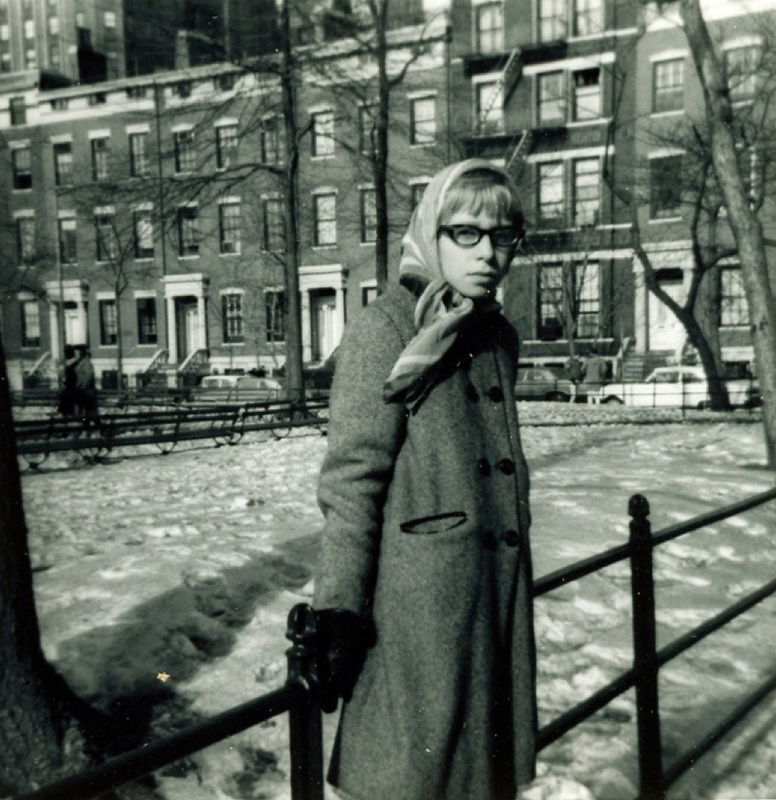 Her new book is Going Into Town: A Love Letter to New York . Credits: This episode’s music is Nothing’s Gonna Bring Me Down by David Baerwald, used with permission from the artist. The conversation was recorded at ink48 on a pair of Blue enCORE 200 Microphones feeding into a Zoom H5 digital recorder. I recorded the intro and outro on a Heil PR-40 Dynamic Studio Recording Microphone feeding into a Cloudlifter CL-1 and a Mackie Onyx Blackjack 2×2 USB Recording Interface . All processing and editing done in Adobe Audition CC . 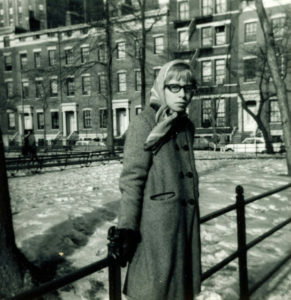 Photo of Roz by her mom or dad back in 1966, I figure. It’s not on my instagram.